Who is CrossFit for… Young people? Competitive athletes? Would you believe everyone? Many a time I've had people tell me that they're going to get into shape before coming to CrossFit, or CrossFit is for young people, or I have an injury so CrossFit isn't for me. The excuses go on and on! I'm very lucky in that my mother got into CrossFit around the same time that I did, and after … [Read more...] about Who is CrossFit for… Young people? Competitive athletes? Would you believe everyone? Lift like a man, look like a girl! A CrossFit Journey. How I overcame the fitness stereotypes and entered the 'cult' by Allison McGee Before Crossfit I was one of those people, you know, those people that make fun of it, think you are crazy for the intensity of the workouts coupled with the heavy weight and as a female I was very concerned with … [Read more...] about Lift like a man, look like a girl! A CrossFit Journey. 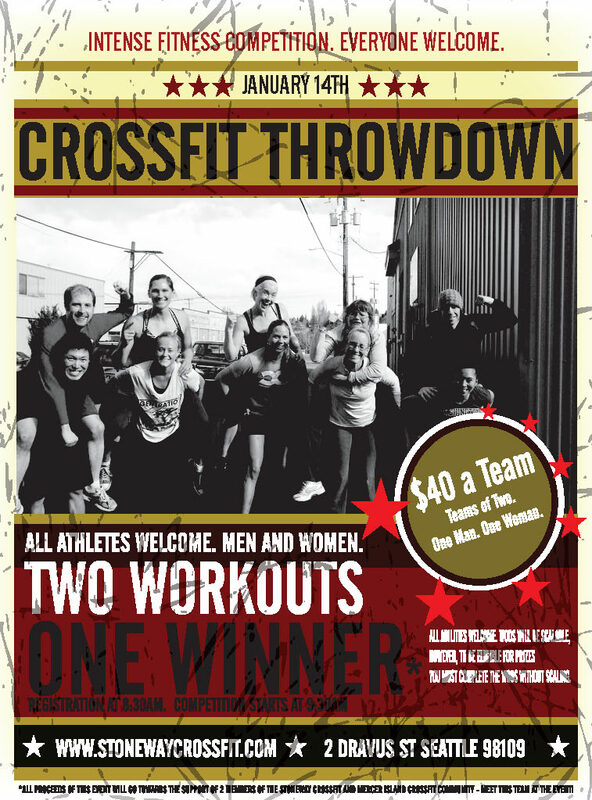 Seattle’s StoneWay CrossFit is Hosting A Throw Down! Resolution Revolution Are you in Seattle and looking for a great way to kick off your fitness goals in the New Year? If so, my gym/box StoneWay CrossFit is throwing an event called the "Resolution Revolution" on January 14th at 8:30am. The owner Scott Rodriguez of StoneWay CrossFit and his good … [Read more...] about Seattle’s StoneWay CrossFit is Hosting A Throw Down!